Hold the phones! One day, you won’t have to worry about holding the phones as Sprint moves to VoLTE for its voice telephone services. That is because VoLTE (Voice over LTE) will allow customers to do a voice call and LTE data simultaneously. S4GRU is now able to confirm that Sprint is proceeding with Voice over LTE based on detailed information from an anonymous Sprint executive. He was able to confirm some of their plans for the transition to VoLTE for voice. In recent months, Sprint has been quite mum about moving to voice over its LTE network. Maybe even a bit misleading about it. Causing some to believe they may not even move to VoLTE at all. Public quotes from Sprint have reiterated that CDMA will carry its voice needs for the foreseeable future and not being in any rush about going to VoLTE like all their competitors have proclaimed. And based on this new information S4GRU recently obtained, it will certainly not be rushed. 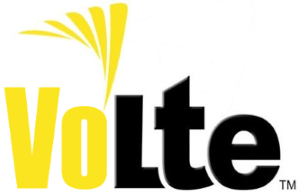 But Sprint is moving forward with a solid VoLTE plan that will see the lion share of its voice usage move to LTE. This is a relief to some S4GRU members, as they have been getting anxious as they hear other providers publicly extol their upcoming VoLTE networks. We will discuss some details of the plan as they were shared with us. Currently, Sprint is in the programming phase of VoLTE. This includes all the design criteria and functionality that can and should be included in their VoLTE system. This includes discussion and feedback from device and network OEM’s about feasibility and hardware support. When this programming phase completes this summer, it will then proceed with an FIT (Field Implementation Testing) phase. During the FIT, they will be able to discover any issues and bugs that need to be worked out before OEM’s start mass producing equipment and VoLTE is instituted nationwide on the Sprint LTE network. Sprint VoLTE FIT’s are planned to be in Kansas, Greater Chicago (Illinois) and Virginia. Key roaming partners will participate to ensure interoperability. An opening up of the VoLTE network to customers will be in a future implementation phase that is yet to be scheduled. The schematic schedule would have that be in Mid 2015, but it could be sooner if everything goes well in the wrap up of Phase 1, the FIT and the availability in the device ecosystem is realized. EVS codec standardization may not be achieved by the time Sprint starts deploying a VoLTE network. They will use AMR-WB and EVRC-NW for testing initially. This may limit initial interoperability of HD Voice in the beginning. Sprint to SoftBank Mobile VoLTE calls should be able to use HD Voice from the beginning, and vice versa. Sprint will leave some CDMA voice capacity indefinitely. However, ultimately the goal is to remove CDMA 1X Voice when coverage and quality is equal or better than customers experience today. Additional low frequency spectrum may be required, depending on future voice demand which is steadily declining. VoLTE calls will not be given QoS Priority on LTE initially. Should LTE capacity constraints be experienced during a VoLTE call, the call will be handed over to the 1x network. As the LTE network matures and loads are better balanced, voice on LTE will be given priority over other LTE traffic similar to WCDMA networks. FDD LTE networks will be preferred for VoLTE traffic over TDD LTE. TDD already has the uplink slotted for maximum data download efficiency. Adding additional uplink data demand for voice (which is synchronous in nature) on TDD (which is not synchronous) may cause a noticeable data upload degradation in voice demand scenarios. Due to FDD being synchronous in nature like voice calls operate, Sprint VoLTE will prefer FDD LTE over TDD LTE when possible to provide for the best network operation. One of the key reasons why Sprint is going to be last to the VoLTE race is because of interoperability. The most important attribute to Sprint for VoLTE is roaming with other providers. Early VoLTE networks will either not support interoperability, or will require significant upgrades or network changes to allow it. VoLTE is only now maturing to a state of interoperability where there are enough standards to ensure a system that can work with other providers. Unlike the Duopoly and some other early VoLTE adopters who may not care for an open voice network, and may even be against it, Sprint is making sure that its network is designed with interoperability in mind. So it works with other providers from the beginning. Sprint is likely working with CCA and RRPP members. And this makes sense in context with remarks recently from RRPP partner VTel in Vermont. The Sprint network is being designed from the get go to make sure it can host roaming for other LTE providers around the country and around the world, and also that Sprint VoLTE devices are capable of roaming on partner LTE networks as well. LTE can finally be that bridge to a cohesive global voice and data network among different providers. Since the world is embracing LTE as the de facto standard, it would be a shame to miss out on that level of interoperability. Granted, there will be some band support issues, but OEM’s have made great strides in providing devices to handle a great many bands these days. The current Nexus 5 model supports many LTE bands already. Sprint is banking on the slower and well planned route to VoLTE is going to provide a better network to seamless global interoperability for Sprint customers. Now if the FCC and DOJ will take notice and stop the Duopoly from buying out CCA members. This is the largest threat to competition in the wireless market currently, in my opinion. 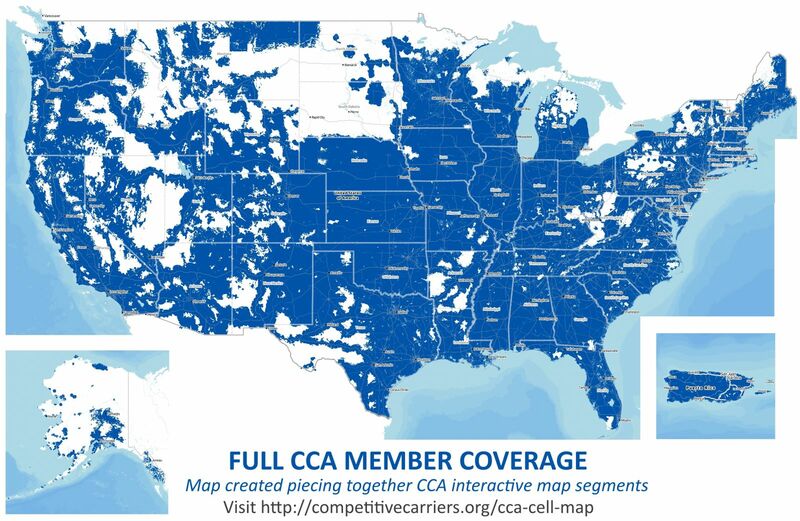 CCA Member Coverage Map. This is an illustration of what LTE and VoLTE could look like upon all existing CCA members upgrading to fully interoperable LTE/VoLTE networks. Previous entry Will LTE service on Rural Roaming Preferred Program partner networks be native coverage for Sprint customers? Next entry LG G3 4G: It's a G thang. Perhaps you should add, for the people who don't know, that the three FITs are in the three different NV vendors areas so that they can insure interoperability between them during the FIT stage. Otherwise, outstanding article, you're fire NBA Jam style. 4 actually since Kansas has Ericsson and Nokia. Nice write up. Thank you for all the info! Any specifics where at in Kansas or still unknown at this time? I have no idea where specifically the FIT's are located within each market, unfortunately. I am half wondering if the Virginia one is in Shentel territory. It's the only part of VA with a solid LTE build available. Do we have a VoLTE thread or should I put this in the HD Voice thread? You're welcome to start a VoLTE thread in the forums. 2 Articles in a week?! We are getting spoiled! Very well written as always, I enjoy the technical information but it is always written so that even my fiancee could understand it... although she never see's the reason I care about this stuff, lol. Can anyone that has used 800Mhz LTE tell me if the coverage at least overlaps 1900Mhz 3G coverage? because if not, they will really be waiting until after the 600Mhz spectrum auctions to really have the same reliability as 1X in areas outside the cities. Based on reports we are getting from members, it definitely does not prior to optimization. 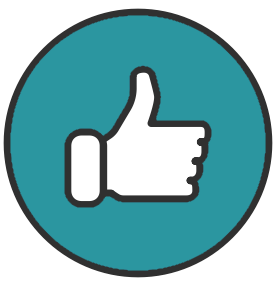 In areas that appear to be optimized to our members it is wildly variable. Some are finding it slightly less than EVDO 1900. Some about the same. Some slightly more. Given all the variables to deployments, I guess this is to be expected. But in general, I think it's safe to summarize that when B26 (LTE 800) is fully optimized, it should provide a coverage area pretty similar to EVDO 1900. But it probably will have a better signal indoors within that coverage area. Especially close to the site. I'll let others chime in if they have more to add about their B26 in their areas (after optimization). And a hat-tip to lilotimz for putting the link on the Sprint subreddit! 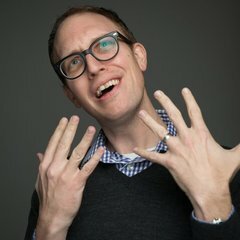 "While VoLTE is not on Sprint’s current plate, Marquardt said that the carrier is working on voice over IP products, but those are more focused at this point on a voice over Wi-Fi solution, similar to what the carrier talked about earlier this year at the Competitive Carriers Association event." Sprint keeps stressing over and over again publicly that they are not rushing into VoLTE. But the plans that were shared with me are detailed and from a solid internal high level source. The plan is real. I think Sprint doesn't want to acknowledge them until the programming phase is complete and they are ready to announce VoLTE partners. Once they let the cat out of the bag, everybody will be harassing them about when and start getting out the measuring stick to see if they're behind schedule. It looks like their strategy will be to disavow VoLTE and talk up their current HD Voice offerings on CDMA until they are ready to start releasing details and timelines. He added that Sprint’s measured approach to VoLTE did not mean that the carrier was not interested in the technology, only that it did not feel any need to rush into the market.“We will be more measured with our plans, working on it more behind the scenes,” Marquardt said. He said they are being measured and behind the scenes with VoLTE. I think without really even reading between the lines this article still even corroborates that Sprint is moving forward with VoLTE, but they are just not prepared to talk about it yet. Are current generation phones that Sprint is selling capable of using its VoLTE when it arrives (eg G3, S5 etc) or will all new handsets be needed? 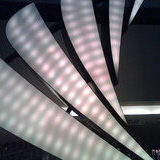 The exact details are not known. However, some believe that a few of the new flagship devices may be upgradeable to VoLTE with a software update. Since we don't know which models if any will be able to do that, I would count on needing to upgrade your device to use Sprint's VoLTE when it goes live in the future. Interesting read. Glad Sprint has a plan for VoLTE that hopefully will pan out and iron out issues for global VoLTE interoperability. So does this mean that the 2.5Ghz network won't be able to VoLTE with a Euro 2.5Ghz cell phone? Will it be possible to work through that? VoLTE will be possible on B41 LTE. It will just prioritize B25 or B26, whenever possible. On a device that is only compatible on B41 while on the Sprint network, it will still do VoLTE on B41. Allow for simultaneous voice and data connectivity. All the other stuff you mention is very important, yes, but from a marketing perspective, the lack of simultaneous voice and data is a significant missing feature of the Sprint network compared to its competitors. Personally, I think this should be the number one reason why Sprint should be looking towards VoLTE (if anything, for this reason I would say that Sprint needs VoLTE more than any of the other carriers, but appears to be the last to obtain it). It's highly variable. While Sprint is suffering LTE capacity issues, they are reluctant to make many B26 as large as they could be. Also, there are maximum power limitations on some of the OEM's B26 equipment. B26 mileage varies significantly.